When I passed this place last year there were a few signs up saying "Blakelaw Park" but on this visit the signs had gone. 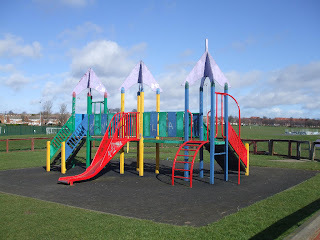 Also it does'nt get a mention on the council Parks website either. 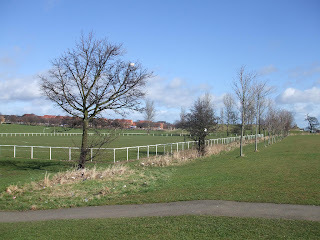 But for arguments sake I will call this post Blakelaw Park as I don't know any other name for the area. 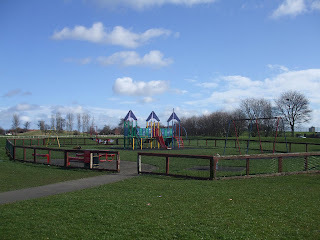 There is a mention of it on the councils Blakelaw Ward News page though saying Blakelaw Park is open to everyone. 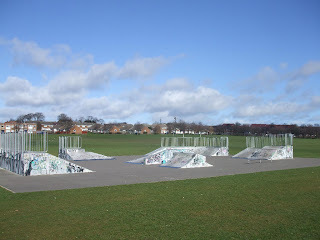 The tennis courts, basketball, skateboarding, BMXing and play area are free to everyone at all times. 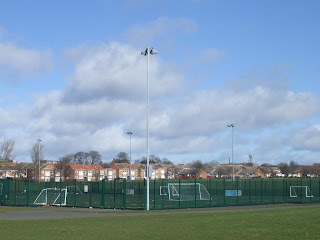 The multi-use sports pitch can be booked through Parks and Countryside by phoning 0191 277 3533. On Tuesday and Friday evenings there is free community football for local people from 5-9pm. A coach is provided during these sessions. 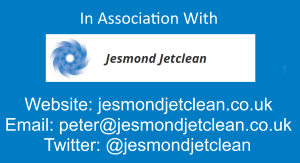 For more information contact the Parks and Countryside Section on 0191 211 6214. A huge panoramic photos of the park.